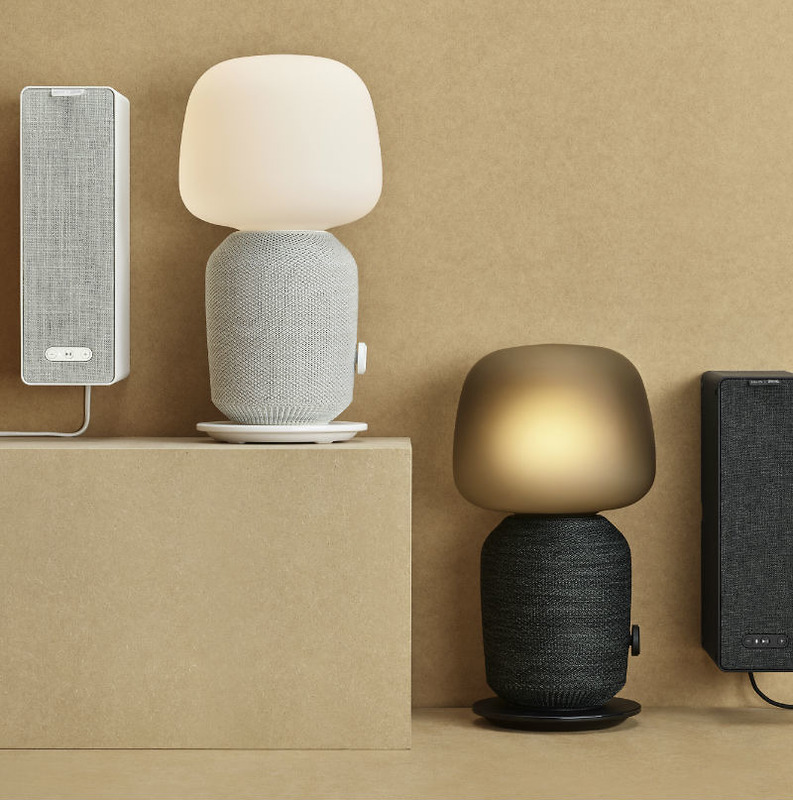 Part of the SYMFONISK lineup, IKEA and Sonos announced a table lamp / WiFi speaker this week, not only capable of lighting up any room its in, but rocking it, too. IKEA mentions that the idea for this product stems from a fireplace, which provides both warm light and sound in a home. Also part of the SYMFONISK lineup is a WiFi bookshelf speaker, priced at $99. You can see it in the header image above, on the left of the lighter lamp and on the right of the darker lamp. Basically, you can set this speaker anywhere (horizontally or vertically), and you can also mount it wherever you’d like in the home. Set for launch in August of this year, the lamp speaker will cost $179 and comes with either a light or dark cloth base. Same launch timeframe goes for the bookshelf speaker.